Why Buy From Primeaux Mitsubishi? If you’re in the market for a new car but want to experience transparent pricing and friendly sales, head to Primeaux Mitsubishi. 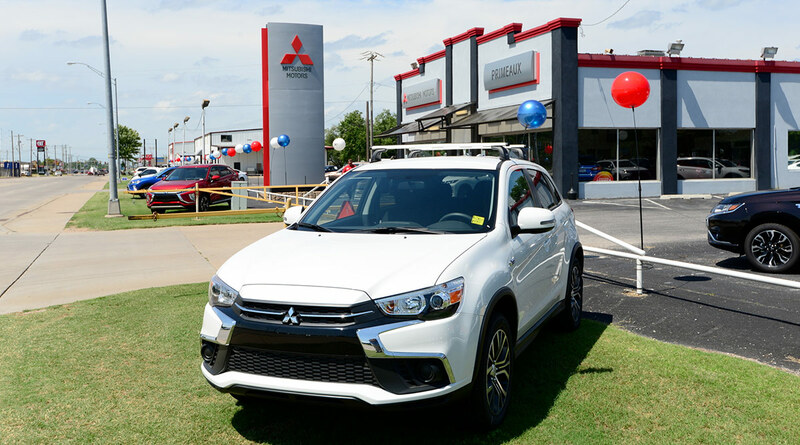 Our Mitsubishi dealership in Bixby, OK, works tirelessly to provide you with top-notch service and a stress-free environment. Whether you’re new to the community or have been living in Greater Tulsa for most of your life, we want to help you upgrade your drives with a high-quality Mitsubishi crossover or sedan! As mainstays of Tulsa and Wagoner counties, we’re not only proud of the Primeaux name, we’re also honored to be a part of such a close-knit community. We’re involved in a variety of committees and boards in Tulsa, including the Greenwood Chamber of Commerce and Tulsa Community College. Stop by our Bixby car dealership at any time and you’re bound to run into a member of the Primeaux family, as we believe that a successful business starts from the top. Plus, we don’t believe in monthly specials, and instead look to help you save with our everyday prices. Whether you want to buy a new Mitsubishi Mirage, lease a new Mitsubishi Outlander Sport or are in need of Mitsubishi repairs, you can count on the No. 1 source for all your automotive needs -- Primeaux Mitsubishi. Our Tulsa car dealership has an unmatched selection of new Mitsubishi Whether you want a new crossover like the Mitsubishi Outlander Sport or a new car like the Mitsubishi Mirage, we have the wide selection that you desire. As a family-owned and -operated dealer, Henry Primeaux looks to set an example with community involvement. He’s a trustee at Tulsa Community College and on the board of trustees at Oklahoma State University-Tulsa. Whether you need a Mitsubishi oil change, tire rotation or engine repairs, our Mitsubishi service center can handle it all. We’re open until 6:00 p.m. Monday through Friday, and are even open on Saturdays from 7:30 a.m. to 2:00 p.m. Schedule Mitsubishi service today!